NEW YORK — When John Lewis was a college student in Nashville, Tennessee, he attended a workshop on nonviolence that changed his life. 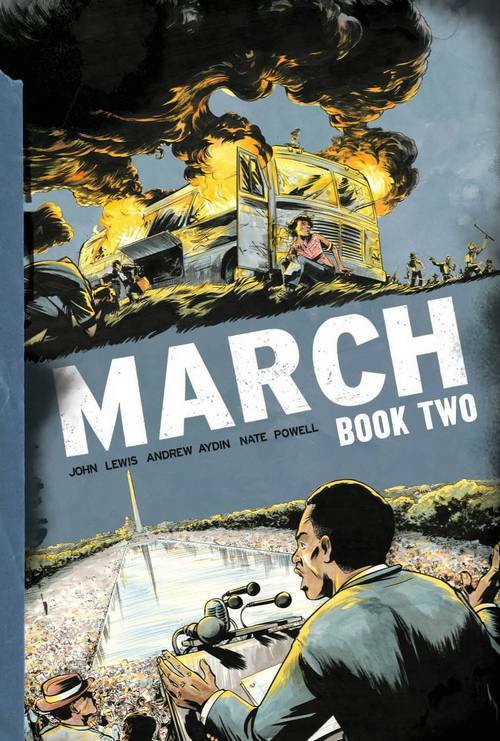 Based on the principles of Gandhi and the recent Montgomery Bus Boycott, it also included a comic book — Martin Luther King and the Montgomery Story — as a take-home study aid in nonviolent resistance. “That little book became like a Bible for us,” says Lewis. Fifty years later, he teamed with co-writer Andrew Aydin and artist Nate Powell to adapt his own incredible life story into a series of award-winning graphic novels, entitled MARCH. The MARCH series is a #1 NYT-bestselling phenomenon, earning a Robert F. Kennedy Book Award, becoming a popular selection for university reading programs, and prompting the Washington Post to write, "There is perhaps no more important modern book to be stocked in American school libraries than MARCH."